← Get set to change! Have you ever wanted to speak up about something important but bitten your tongue and kept quiet instead? Have you ever experienced being shy and feeling uncomfortable in the midst of other people, for example at the gym? I am sure you will agree that everybody could do with a bit more of it in one or more aspects of their lives, whether it’s at school, at work, in a relationship or meeting new people. Have you guessed what it is yet? Yes, I’m talking about CONFIDENCE. I have already written about this subject in my previous posts, so feel free to have a read under other perspectives: Becoming Unstoppable! & Becoming Unstoppable Part 2! At this point we might ask: What does it mean to be confident? Basically, confidence is the difference between feeling unstoppable or scared out of our comfort zone. 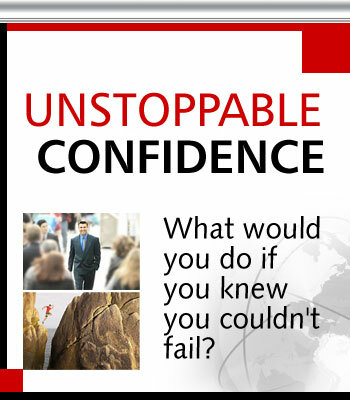 Ok, it is clear there are many benefits to being confident, how exactly can we become more confident? As in my experience, it takes courage to express yourself, explain your side of the story and ask questions. In any situation which is painful or challenging you will feel fear. Fear in life is an absolute given, you will not escape it. Accepting fear as a natural part of your life and as a means to growth is the first step, it’s the decision you make after the acceptance that is the decisive factor. 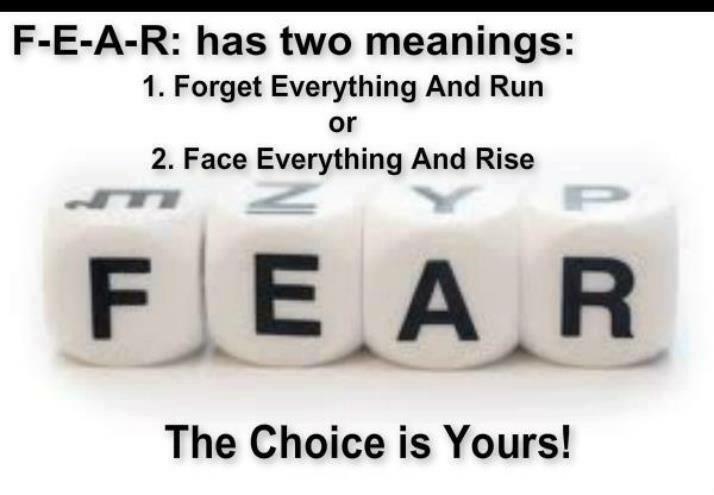 Are you going to let your fears overcome you or are you going to overcome them? In deciding to overcome your fears you have already demonstrated courage which will give you the strength to carry through the actions needed. But it is only after this that your confidence will have grown. You cannot pluck confidence out of thin air, you need to go through the process of fear, courage, strength and action before you can obtain confidence. It’s similar to putting savings in your bank account. Every achievement becomes your social proof (saving), enabling you to gain more confidence (increasing your bank account) which in turn will help you handle the next challenge. 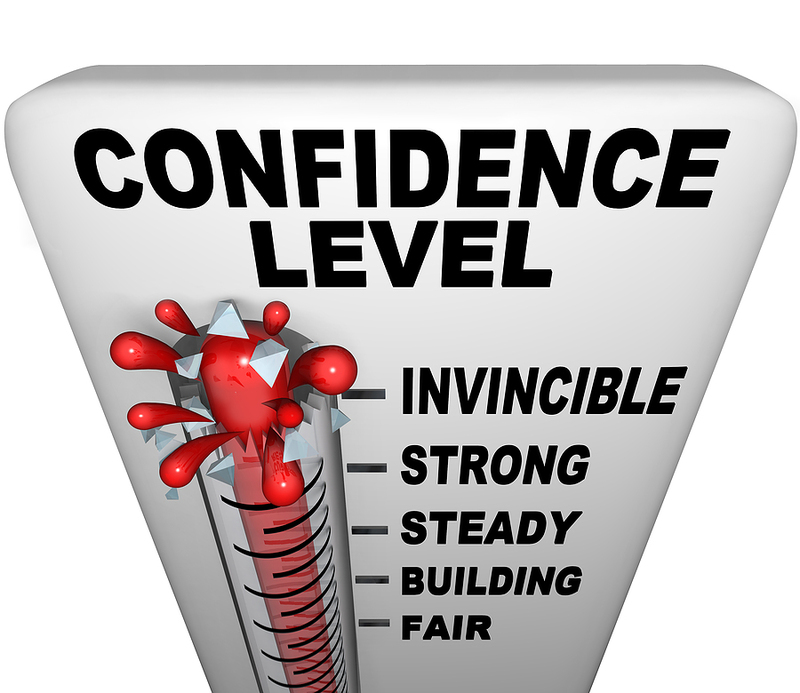 Many of the factors that affect confidence are actually beyond our control. However, we can get the mental edge we need to reach our full potential. We may be familiar with what confident friends may say to us: ‘Well, just be confident, mate!’ However, to a person that doesn’t feel that confident, this piece of advice may not be very helpful at all. You know what I am talking about, don’t you? I have recently been to an event and one subject that kept coming up was that successful people have a boatload of confidence which has been built through the layering of knowledge, experience, competence, expertise, achievement and success. At this point, I remembered what my financial market trader coach, Jit, kept telling me: ‘Confidence through Confluence!’. What did he mean? By layering all the confluent factors in our favour, they provide us with an edge in the financial market. This is exactly what successful people do in all realms of business including trading. The reality is that confidence is just a step below success. The process is simple: when we are confident, we are deciding analytically and not emotionally, therefore we get our desired results. This concept applies even more in the trading world as my fellow traders very well know. To become confident, at first, traders have to focus on the process and not on the prize or capital involved otherwise their emotions will interfere with their objectivity and produce inconsistent unsatisfactory results as well as guaranteed frustration. Confidence through a confluence of factors, is essential to grow your belief system to provide you with social proof that the task aimed at is achievable. The first example I can think of is related to my passion for trading the financial market and specifically the selection process in choosing a trade. Check out this post Your trading edge to get more insight into this subject. I have always used a checklist from the very first day I learnt trading and I quickly discovered the power of it. It helped me to make logical decisions, I simply had to ask myself does this trade meet my requirements or not! What factors were listed in my checklist? Well, honestly, I blindly believed my trader coach as he had more experience than me! He listed the factors I needed to look for that enabled me to make confident decisions when the trade met the listed criteria. Most of my confluent factors are cyclicity, price action, horizontal and Fibonacci levels and all these strengthened my confidence…so, you can see the power of confluence. Combine this with discipline and you can almost guarantee your success. Be disciplined with your discipline! is one of my dear Bro’s posts based on his personal experience. Why do you not check it out and get inspired? This principle applies in all aspects of life, for example in business, our confidence grows through our business experience, knowledgeable employees, other experts, intuitive and capable coaches and mentors, talented managers and trusted suppliers to name but a few. You see where I’m going with this…Although the difference between everyday life and trading the financial markets is that in everyday life you can fake confidence as in my aforementioned experience but in trading you can’t because the results will speak for themselves. The real question is: What are our confluent factors to increase our confidence? This is a very personal question. Everyone will have different factors that enable their confidence to grow. However, a commonality is that leveraging or utilising confluent factors suggested by more experienced people, such as coaches and mentors will greatly assist you to become more confident and accelerate your journey to success. Step 1 : The process. This consists of overcoming fear through courage to gain the strength to carry through an action to achieve a goal. It’s the achievement which builds your confidence. Step 2: The layering of your confluent factors. Once you repeat step 1 often enough, a process of compounding your acquired knowledge, experience, competence, expertise, achievement and success, your confidence becomes an intrinsic aspect of your personality. So Confidence through Confluence! Compounding everything! is a post that I warmly invite you to read in order to expand my dear Bro’s insight on the compounding subject (his 8th wonder of the world). Even if we’re reasonably assured most of the time, it is beneficial to do a self analysis check up to review and compare our previous achievements to score our confidence levels. 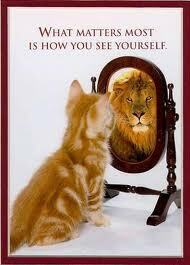 It feels good to be confident, which in turn perpetuates further confidence, impresses people and brings you success. Is this not what everyone wants? So, what level is our confidence? Remember: when you feel confident, you not only feel happier but also more capable and efficient. The quote below is really a reminder to myself as my confidence level will be again tested today with my dear Bro! To our growth of Confidence through Confluence! WOW! What a post! Simple and well structured! It worked wonders for me as now I have a deeper understanding of what is the process to get more confidence. Thanks Viv, you are very inspiring! Fantastic post, Viv! Very inspirational and full of tips to increase our confidence level. Thanks for the reminders and the motivation to keep upgrading my confidence level by using it more often. Great post, Viv. Very inspiring and useful to motivate me to increase my confidence level. Thanks for sharing your great tips. Awesome and motivating. Great to read your posts. You have gained a new fan today, Viv. Thanks for this post blog. 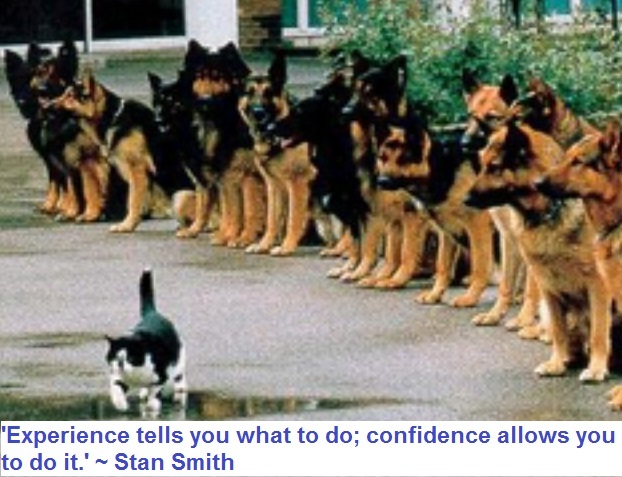 Confidence is the basis of most of the skills we can gain and our attitude will make the difference. Viv, keep up the great job to inspire us. Excellent article. You’re right, confidence is like a muscle. It amazes me that confidence is something that we have to keep working at it at all times without exceptions. Great reminder, Viv. Thanks for this post, it’s very useful.